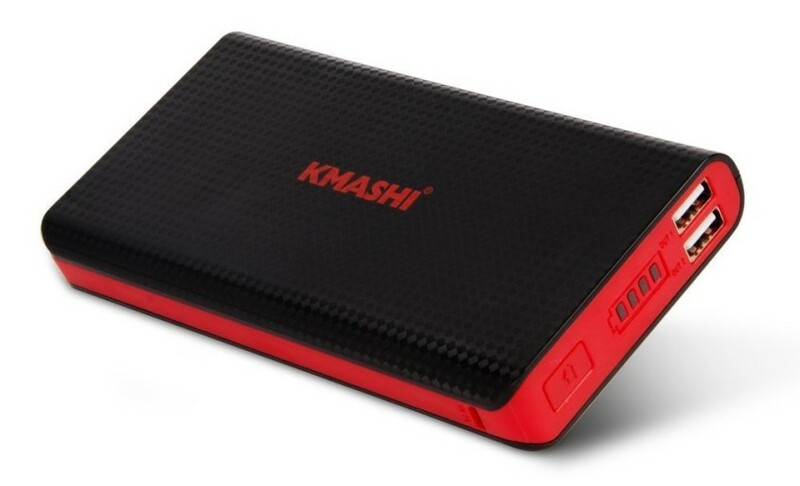 Deal: Kmashi 15,000 mAh external battery pack only $13.50! Battery, battery, battery. This little block inside every mobile device out there has us going crazy on the daily. There’s nothing worse than running out of juice in the middle of the day, especially during those times when you can’t simply tether yourself to a wall and charge up. It is these times when you realize a portable battery pack is more necessary than we wish it was – these things are life savers! Looking to get a portable charger? There’s plenty of options out there, but we must say you would be hard pressed to find a deal that beats today’s offer on the Kmashi 15,000 mAh portable battery pack. Usually priced at $59.99, the battery is currently on sale for $19.99. On top of that, customers can use coupon code “YURUURCO” to get an extra $6.49 off, effectively bringing the price down to $13.50! Shipping is free for Prime users or if you spend over $35 in your order. That is a lot of battery for the price, guys. Just to put it into perspective, the Samsung Galaxy Note 5 has a 3,000 mAh battery. This Kmashi battery has 5 times more battery than the latest Samsung phablet! The battery comes fully packed with a microUSB energy input, a couple full size USB ports (2A and 1A) a switch and a battery indicator light. You really can’t go wrong with this one, so go ahead and buy one if you are on the search for a good battery pack. Who is signing up? Buy Kmashi 15,000 mAh battery pack from Amazon!